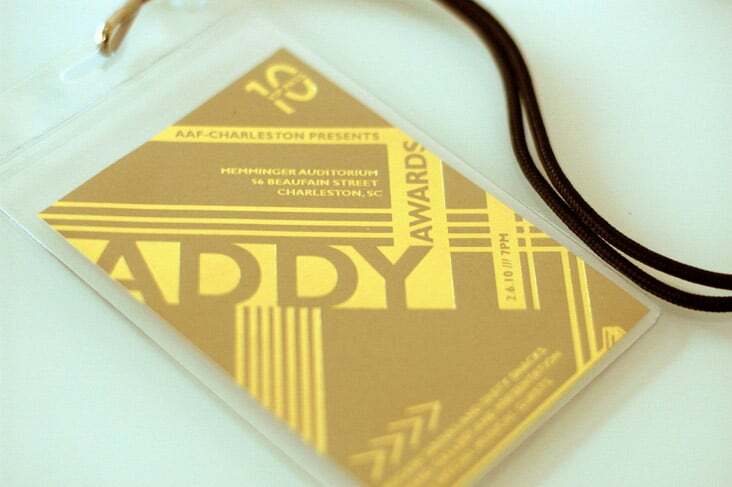 A Back Stage Pass with Bling « Stitch Design Co.
Stitch was excited to be asked to design the invite for this year’s Addy Awards for the Advertising Federation of Charleston. We had fun “blingin” this one out. 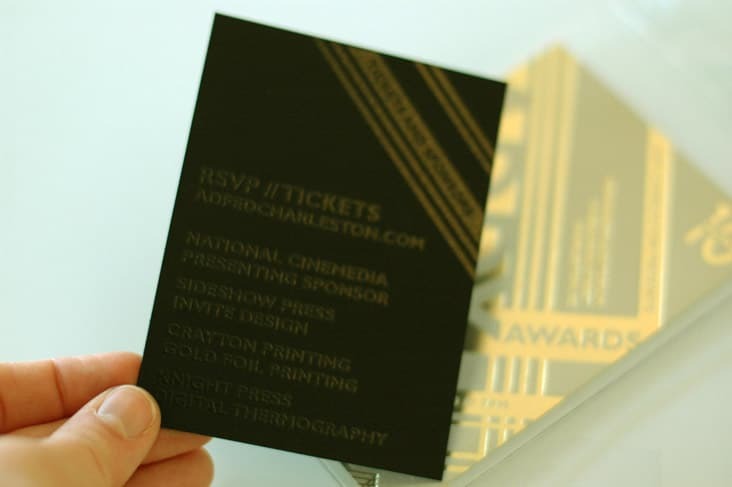 The awards show will carry through the theme, with the Gold winners going home with nothing other than gold (not solid) records.